We are dedicated to providing quality and practical services to home-bound individuals who are in need of skilled medical care in the comfort of their home. Our goal is to provide superior services in pursuit of our patients’ self reliance and independence. 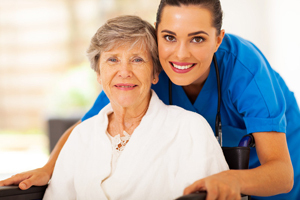 All of our office and field staff has had many years of experience in the arena of home health nursing. We offer our nurses training in ventilator management, g-tube and trach replacement and care. In addition, we also provide hands-on training with experienced nurses. Well-trained, experienced, professional nursing support is not only our focus. It is our purpose. "Caritas Home Health has earned The Joint Commission’s Gold Seal of Approval"